Houses where the total of the address comes to as 5 is said to have 5 as house number. People here love to change frequently as they like changes. Every corner if the house has a new story to tell. Let's see more of number 5. 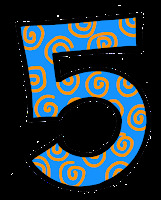 Number 5 comes under mercury planet which makes inhabitants possessive, energetic and impatient. They might have alot of ideas. If you are involved with business which involves constant change like interior design then this house will suit you. People living here can't be at a place for long and keep moving. Something or the other new goes on here but its mostly associated with topics such as business, communication and science. The only thing that causes problem is that they have difficulty in maintaining a schedule and keep switching off jobs. Kids living here will have fondness for cars, bikes and could be very naughty. If one has any kind of habits the this is not suitable for you. Business which is run from home is favourable. Its not for Peace and quiet seekers might work temporary but not permanent.